I wasn’t sure if this “experiment” had worked, as the cookie came out browned around the edges and the top. Was it going to be way too crispy? 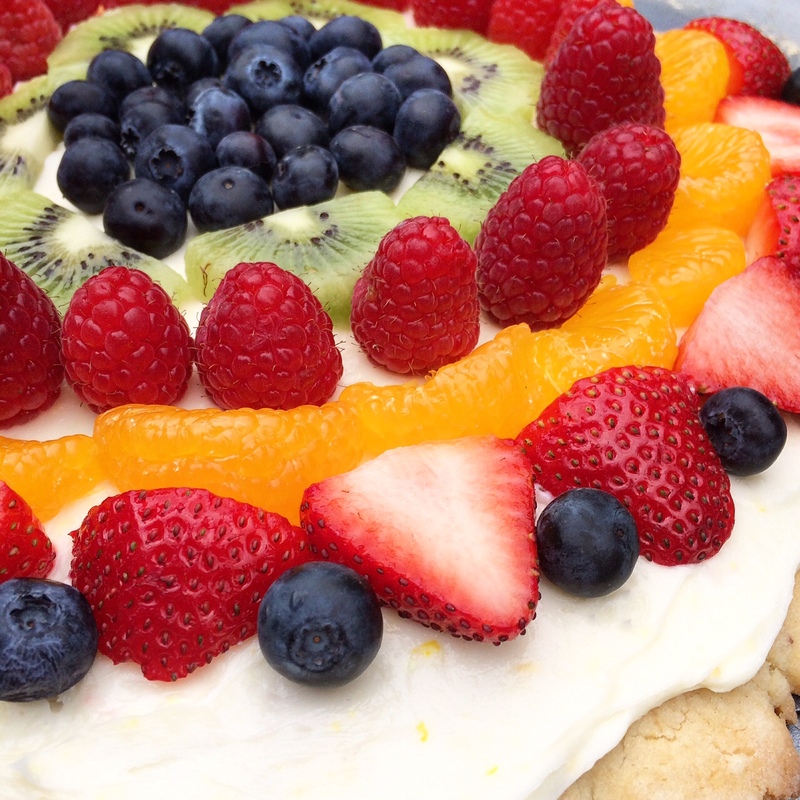 After it cooled I spread on some cream cheese frosting, then layered on some tasty fruit. 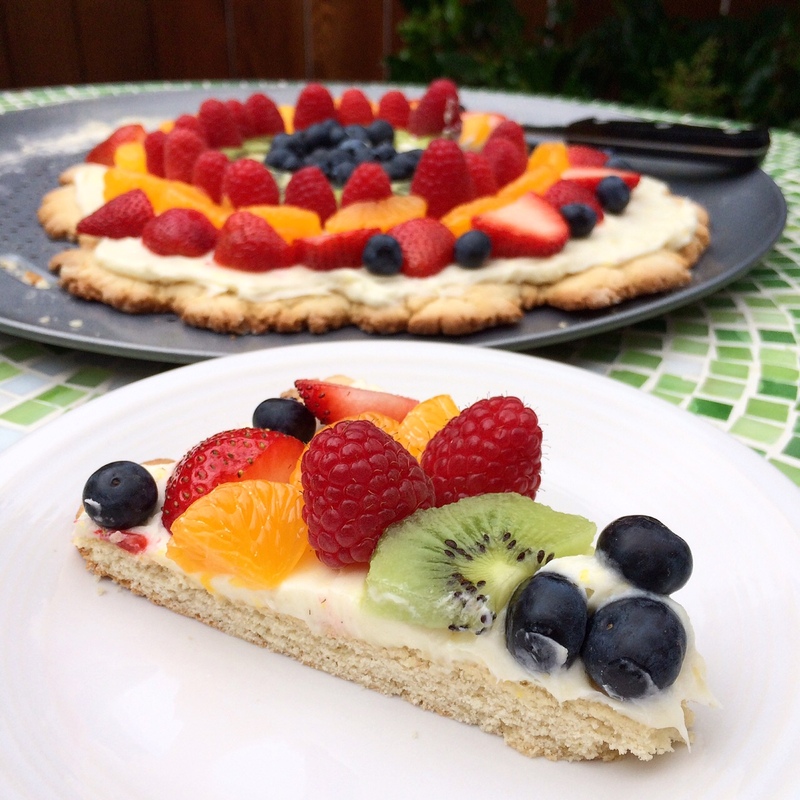 The result: you CAN have fruit pizza with this sugar cookie recipe! Obviously, I’ll need to make it a few times with different variables to see if it works on a different kind of sheet pan, if I roll out the dough a little thinner, if I press out the dough instead of roll, etc. But for a first go-round, this was a pretty big success! With baby getting bigger everyday I’m just hoping I can knock out 4 more months of sugar cookies! Things may not be too innovative the rest of the year, but I’m determined to complete this goal! Divide the dough into two parts and wrap each in wax paper. Refrigerate at least 1 hour. 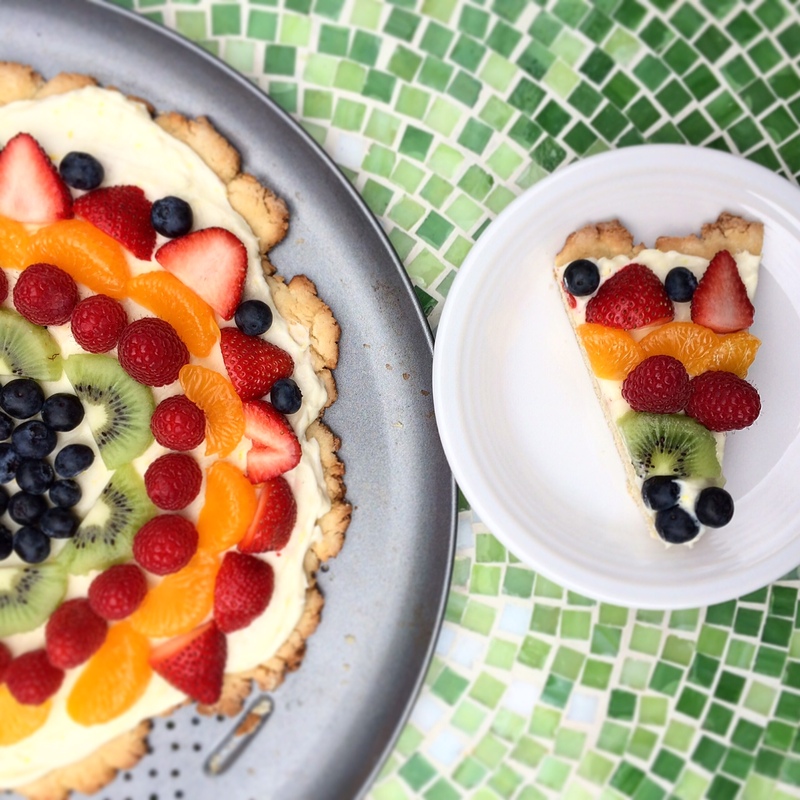 You can freeze half of the dough if you only want to make one fruit pizza. On a floured surface, roll out one portion of dough into a large circle, about 12 inches. The dough should be about 1 inch thick. Don’t worry if it’s not a perfect circle, I didn’t have smooth edges. In one full swoop, transfer the cookie to a round pizza pan or a large greased baking sheet. Bake the cookie/pizza at 400 for 10-12 minutes, until the pizza is browned around the edges and set in the middle. Remove from oven and cool completely on the pan. In a bowl, beat the softened cream cheese and 1 cup of powdered sugar with an electric mixer until fluffy. Add the lemon zest, salt, and vanilla and beat again until smooth. Spread the cream cheese frosting on the cooled pizza cookie. This is completely preference based, but dice up your fruit into bite-sized pieces and arrange on the cream cheese frosting however you choose. You can scatter your toppings around randomly like toppings on a normal pizza, or you can do a design. 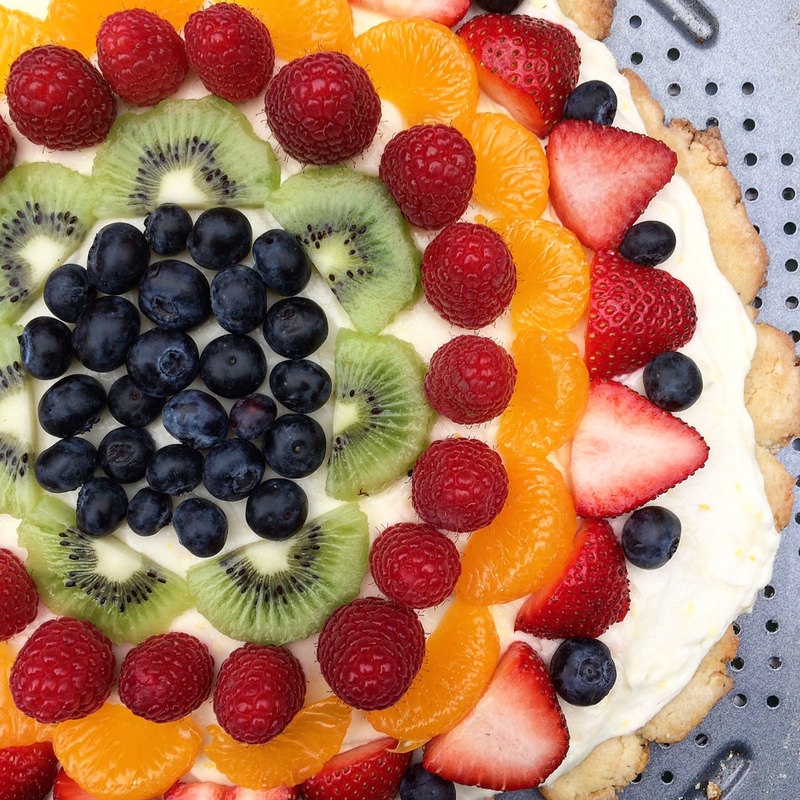 Doing the pictured circular design worked well because each slice has every kind of fruit.